Hong Kong soya sauce chicken rice and noodles from renowned Singapore traditional hawker stall Chef Chan’s. Adam Liaw and Malcolm Lee, founder of Candlenut, Singapore, go head first into their research. 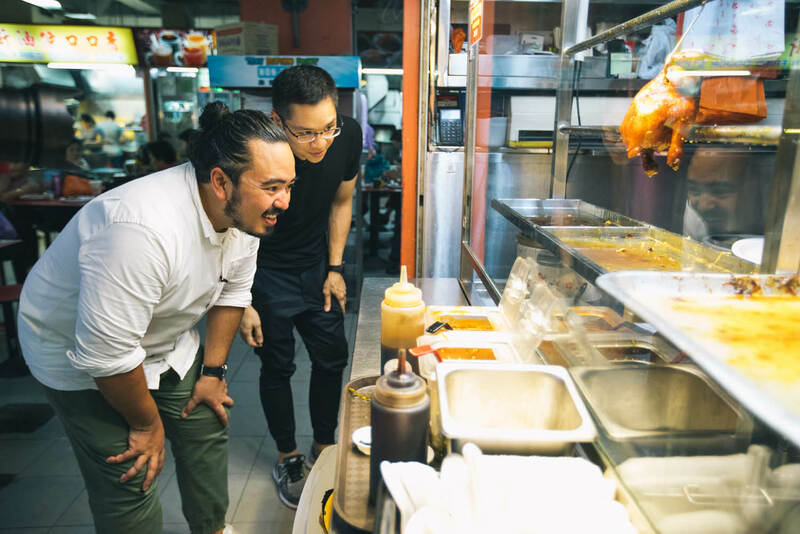 Adam Liaw and Malcolm Lee’s creative spin on Singapore’s classic chicken rice: Hainanese-Peranakan chicken rice with elements from chilli crab thrown in. 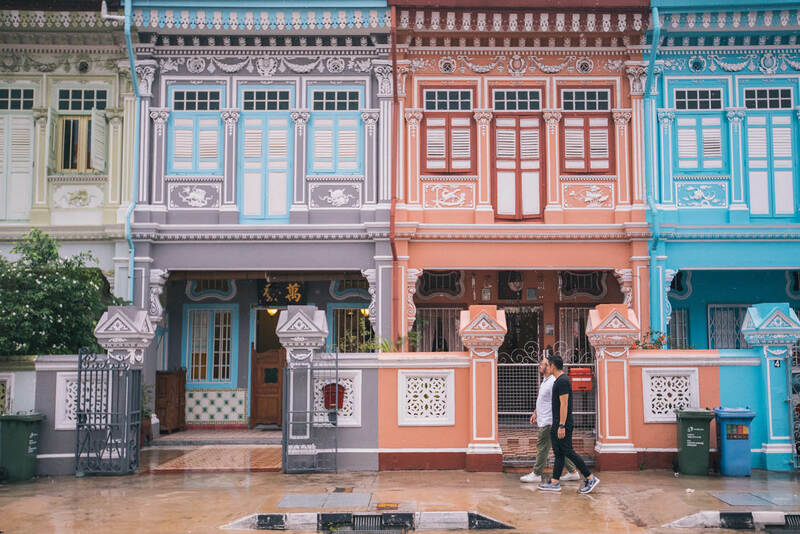 Malcolm Lee and Adam Liaw on the hunt for Peranakan flavours in Joo Chiat neighbourhood, Singapore. If anyone knows which dishes are worth spending your Singaporean dollars on, it’s Adam Liaw. The Malaysian-born TV chef takes us on a culinary trip to his homeland and shares with us Singapore’s best dishes – and tips – every food enthusiast needs to know. When it comes to Asian cuisine, there isn’t much not worth trying, but if your time in a place like Singapore isn’t nearly as long as you’d like it to be, it pays to have a pre-planned idea in your head of what might be on your culinary hit list. 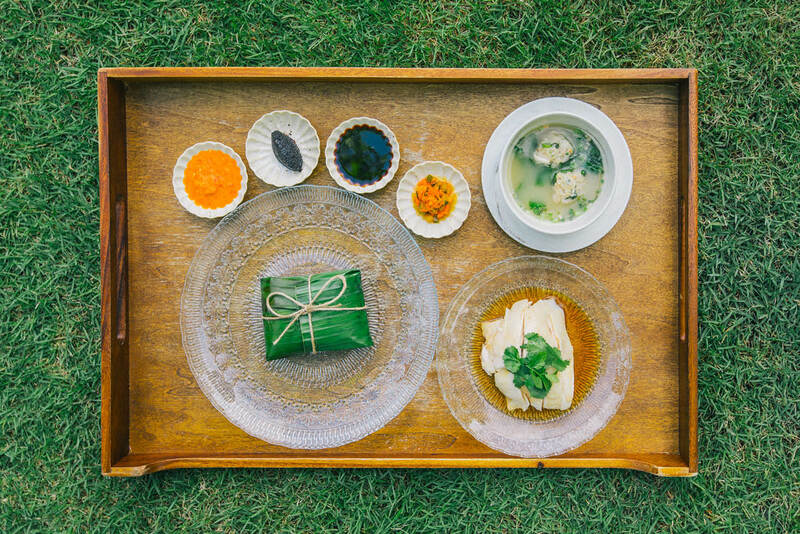 We asked Liaw for his five top food recommendations, and he was all too happy to oblige us. I love the completeness of this dish. It uses the whole chicken from the oil to the stock to the meat, so it’s a dish that not only tastes great, it has a great philosophy behind it too. Sitting outdoors with a big plate of satay, a cold beer and a good conversation are all you need for a perfect Singapore evening. You’ve got to head to Katong to try this uniquely Singaporean take on laksa. Have it with a side of otak-otak. Chilli crab is fantastic, but there are lots of other varieties of crab dishes to try, too. This and a cup of Hainanese coffee shop coffee is a perfect breakfast for me, but it’s good for a snack during the day too. Liaw also shared some tips on getting the most out of Singapore’s food, including a sure-fire way to secure a table in a bustling eatery – even if you’re on your own! Shake it up: My best tip for eating in Singapore is to come at it with an open mind. I have been coming to Singapore for my entire life and of course I have my old favourites I go back to again and again, but I’m always keen to try something new because Singapore is always changing. 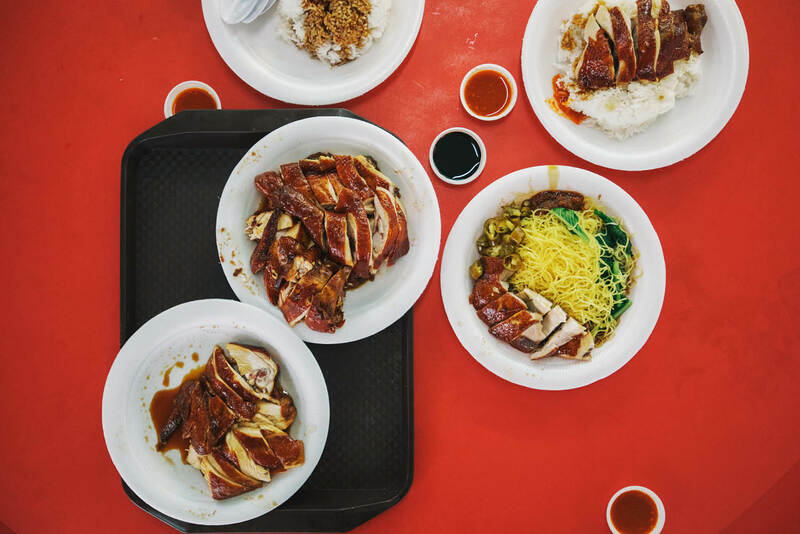 The spice of life: If your budget allows, try to experience all the different aspects of Singapore and its cuisine, from fine dining to the cheap eats at hawker centres and everything in between. I think the variety of Singaporean food is what makes it great. Beyond the classics: When visiting Singapore always have a list of specific dishes that you want to try. For me, things like satay, Hainanese chicken rice and chilli crab are the obvious ones but there’s also dishes like Hainanese curry rice or Yong Tau Fu that don’t get as much attention as the big three, yet they’re just as good!